Oxford University Press, USA, 9780198812166, 608pp. Eugene M. Terentjev, Professor of Polymer Physics, University of Cambridge, David A. Weitz, Mallinckrodt Professor of Physics and Applied Physics, Harvard University Eugene M. Terentjev is Professor of Polymer Physics at the Cavendish Laboratory, University of Cambridge, and Fellow and Director of Studies at Queens' College, Cambridge, UK. 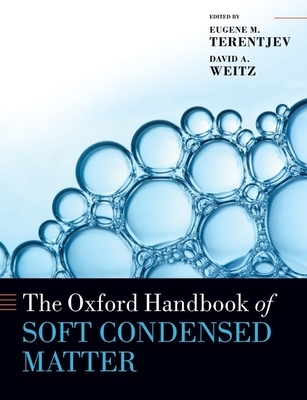 David A. Weitz is Professor of Physics & Applied Physics at Harvard University, Director of the Harvard Materials Research Science & Engineering Center, and Co-Director of the BASF Advanced Research Initiative at Harvard, Cambridge MA, USA.